Just to inform all our valued customer we currently have a number of shipments on the water bringing 40mm jigsaw mats to our warehouse in Sydney and Melbourne. The first shipment consists of 40mm black & grey jigsaw mats. 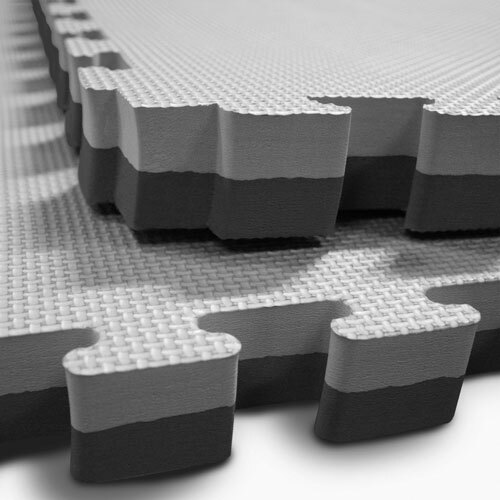 Our black and grey jigsaw mats have been very popular so we are committed to ensuring a steady supply of mats to meet our customers demands. After that we have a 20′ container consisting of a mix of 40mm black & grey, blue & red and black & red interlocking jigsaw mats. This will be followed up with a even larger 40′ container with a similar mix of mats. So we anticipate that we will have sufficient supply of a range of 40mm mats for March and April. If you are looking at purchasing some jigsaw mats for yourself or your organisation it is recommended that you place a forward order to ensure you receive your mats. Contact Southern Cross Mats for your next jigsaw mats order.